25 Overhead Squats (89# Men / 67# Women ) . Scale reps and weight if necessary. 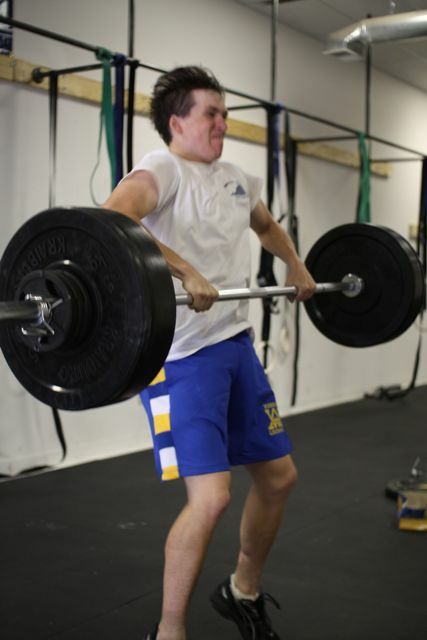 Ben’s first max clean. 171#. 6:05 as RX’d. And by as RX’d I mean I used a PVC pipe because I have inflexible robot arms and shoulders. nice work on the 400 though jason you ran like the wind….flexibility and I are not the closest of friends either.